Walking without tripping on carpets etc. Some simple home adaptations can help someone with dementia manage everyday tasks and stay in their own home longer. And if you’re worried about the costs of home adaptations, there is a section at the end of the article that discusses funding options and securing items for free, on loan. 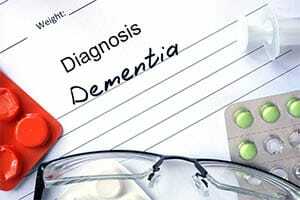 One of the most common symptoms of dementia is memory loss and forgetfulness. This can cause problems at home because someone might forget to lock their front door, take their medication, what day or year it is, or leave the gas on after cooking. Whiteboards/noticeboards located around a home to help people keep track of things – £1-£50. Dosette boxes that have days of the week and times of day to help keep track of medication – £5-£25. Instructions on how to use electronic devices such as cookers and TVs. Keyfinders and wallet finders – £25. Reminders on walls or surfaces to help people lock front doors, turn off the gas, or take medication – £5-£50. Pre-recorded reminders located around a home – £50. Automatic shut off valves ­– £20-£60. Alzheimers.org.uk has more information about memory aids. Their shop also has some dementia-specific items for the home. As dementia progresses, mobility can decrease. This makes using traditional baths, showers, and toilets difficult. Thankfully, there are some simple and effective home adaptations. Non-slip bath/shower mats – £20. Plugs that stop flooding – £9. Raised toilet seats – £10-£100. Traditional utensils and appliances can become very hard to operate for people with dementia. Kettle and teapot tippers – £17-£35. Perching stools, to help ease the strain of standing for long periods – £30-£100+. Different utensils for all sorts of kitchen needs – £5-£20. Non-slip mats to stop containers moving around when cooking – £3-£30. Kitchen trolleys that make transporting food much easier and safer – £35-£150. Openers for tins, bottles, and cans – £5-£10. Dementia affects motor-neurone patterns, which can make eating and drinking difficult. There are now some specific adaptations to help overcome these difficulties. Non-slip table mat – £5. Uniflow straws (stops the liquid slipping back down to make drinking easier) – £15. Alzheimers.org.uk has a big selection of eating and drinking adaptations. Essentialaids.com also has a good selection. Dementia often affects the ability to walk and move around. As such, even walking from one room to another can become a big hazard without proper adaptations. Tape down the edge of rugs or carpets to minimise trip hazards and install non-slip mats. Rising seat aids to make getting in and out of chairs easier – £10-£200. Walking sticks and canes – £10-£100. Or free through the NHS. Wheelchairs – these can be purchased for as little as £50 or acquired for free from the NHS. Essentialaids.com has a big range of mobility aids for nearly all mobility issues. The NHS can provide some items for free, on loan. Items include walking sticks and frames, wheelchairs, hospital beds, and special mattresses. The Red Cross can also provide items on loan, for free. Friends and family members may worry about the safety of people with dementia living alone. There are some specific adaptations and items that can help keep people with dementia safe and give friends and family some peace of mind. Timed or motion sensor-activated messages delivered through recording devices that remind people about taking medication, turning the gas off, locking front doors etc. £25-£100. Video intercom for front doors to help identify people safely. independentliving.co.uk has a list of dementia-friendly intercoms. Prices start at £100. Motion sensor-activated lights for hallways, rooms, and exterior areas. £15. Locator devices such as electronic tags that can be attached to keys or other items and provide location information. £120. Telephone blocker (stops unwanted calls) – £60 per year. Easy-to-use telephones with stored numbers – £35-£200. Trouble remembering people and special events can be traumatic for people with dementia. There are specific aids that can help remind them who those around them are and some of their happiest memories. Talking photo album (this can also be used to record instructions for things) – £35. Digital picture frames to help remember loved ones and carers. You can also use them to create a Day Clock. – £30-£100. Cue cards with pictures and words that help convey emotion – £5-£30. A tablet or smartphone that can be used to video call, set reminders through a shared calendar, and track location with GPS – £50-£500. Home adaptations can be expensive. But there is funding help available from social services and some charities. The NHS and The Red Cross can also provide adaptations, such as walking sticks and wheelchairs, on loan, for free. If social services and the occupational therapist agree that you need adaptations to your home, you will be awarded a Disabled Facilities Grant. This is a grant that helps you get the adaptations you need. It is available to both homeowners and tenants up to a limit of £30,000. However, the grant is means tested. This means if your income and savings are above your outgoings for basic needs, you might not receive a full grant that covers all the costs. And any shortfall will have to come from your own funds. For more information and clarification, you should contact the environmental health or housing departments of your local council.